Experience the lifestyle and historical sight of Old and New Delhi. Take a pause in the capital city of India. Gain expert insight into local customs and traditions. Enjoy the luxury of a private air-conditioned car and with a driver. Company of a private guide for the day. Enjoy the Rickshaw (Tricycle) ride in the narrow streets of Old Delhi and see the wonderful market inside the streets. No introduction is needed for India's capital city, Delhi. Starting from Red Fort, the center of Mughal Empire to Parliament where the Power resides now, there a lot to see and experience in Delhi. Dotted with old alleys ways and posh localities Delhi is a perfect blend of the old and new. This tour takes you around the famous museums of Delhi. 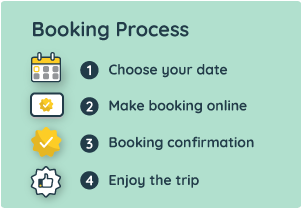 You could also customize the tour according to your choice and the sights you want to visit other than the suggested itinerary. Your tour begins with a pick up from your hotel/residence in Delhi city limits at your specified time. Red Fort: The UNESCO World Heritage Site - Red Fort is a 17th-century fort that served as the residence of the Mughal Emperors of India. India Gate: Situated in the heart of New Delhi, built in 1931 commemorates the soldiers of the British Indian Army who lost their lives while fighting for the British Empire in World War I and the Third Anglo-Afghan War. Humayun's Tomb: The 16th Century tomb was the first garden-tomb on the Indian subcontinent built by Humayun's widowed Queen, Haji Begum. Iron Pillar and Mosque: also known as Ashoka Pillar, was constructed during the king Ashoka period. Qutub Minar: Visit the UNESCO listed World Heritage Site which is the tallest minaret in the world made up of bricks. Jama Masjid (Mosque)- 17th-century, red sandstone Mughal-style mosque with a 25,000 capacity & 40 m high minarets. During this tour, you may also take a rickshaw ride in the narrow alleyways of Old Delhi. After the completion of your tour, you will be dropped back at your hotel/specified drop location. Not available for pick-up from hotels located in the suburbs of Delhi. Children below 5 years of age are not charged.